We have seen that The Secret Doctrine establishes two kinds of Knowledge, Absolute and Relative, and bridges the chasm between these by Esoteric Knowledge; on the other hand Agnosticism (in its true sense of course) obscures all Knowledge and plunges relative Knowledge in the depths of Nescience. Avidya, Apara Vidya, Gupta Vidya and Para Vidya have been the four factors of study for us. Leaving aside Agnosticism, Nescience, Avidya, let us say a word or two about Relative Knowledge, Apara Vidya. It is said to deal with illusions, non-realities. Hasty inferences are very commonly indulged in, and we should guard ourselves against them. The Doctrine of Maya has worked havoc among the followers of the Brahmanical creed: it has been misunderstood and wrongly applied, with the result that individual, national and racial catastrophes have resulted. This highly philosophical doctrine can be truly comprehended by the mystic, but to do so he must possess the necessary adequate knowledge of several propositions of the Esoteric Science, one of which pertains to the subject-matter now under consideration. Maya or Illusion caused by Avidya or Agnosticism is very different from that caused by Apara Vidya or Relative Knowledge. Absolute knowledge also is Absolute Reality. That which lies buried and hidden in the silence of Gupta Vidya is a mystery. Under the guidance of Nature and her laws we are initiated into the mysterious workings of her being, and from one aspect and factor of Relative Knowledge we go to a succeeding one. To make a deliberate and conscious effort to realize what is hidden is to be a practical Theosophist — an earnest student of Gupta Vidya; is to be initiated into Perceptive Mystery to which The Secret Doctrinerefers as shown in our third study. Manifestations of Noumenal Knowledge produce phenomenal knowledge which we have designated relative. It may be called Typal Knowledge and is comparable to the shadows of the One Noumenal Reality — Absolute Knowledge. The shadows resemble, and in a sense represent, the substance. But typal-knowledge is begotten of Archetypal Knowledge, which may be compared to an Image. Noumenal or Absolute Knowledge reproduces itself, as an image — Archetypal or Esoteric Knowledge, and the latter reflects itself causing shadows of phenomenal knowledge. When we busy ourselves with shadows regardless of the image in which they are rooted, we mistake them for substance, invest them with spurious values, and generally lose ourselves in the mazes of phenomenalism, falling into the pit of Avidya — Agnosticism. On the other hand when we discriminate between aspects and factors of Relative Knowledge, in terms of different and successive phases of evolution through which we pass, we are able to recognize them as valuable helps, leading towards the Image-Source, and finally to the Ultimate Reality referred to in one of the above quotations from The Secret Doctrine. This valuable help is always available for the earnest and sincere man who seeks for Truth and is not satisfied with a creed, who demands Knowledge and rejects mere belief, who follows the faith of his Inner God and not of the father of his body. It is said that the Word of the Wisdom and the Voice of the Masters always abide in the world. We have compared Apara Vidya or Relative Knowledge to Manas, but, like Manas in the human constitution, Relative Knowledge, has a triple aspect — (1) Higher, (2) Lower, and (3) Antaskarana, or the bridge between the two. This bridge is Apara Vidya distinct from Avidya which is Manas influenced, energized and ensouled by Kama, or lower Manas. Antaskarana has a relation to Higher Mind — the Word of the Wisdom to be seen in the world, the Voice of the Master to be heard in the world, the ray of the Sun of Gupta Vidya — Archetypal Knowledge which we have compared to Buddhi. Thus between Relative Knowledge and Archetypal Knowledge is Theosophy, written, spoken, made public — the Exoteric Wisdom-Religion. It is from the same source as the Heart Doctrine of the Buddha, the Parables of the Christ, the secret teachings spoken by guru to chelas, the real and true Revelations or Shruti. A careful study of Mme. 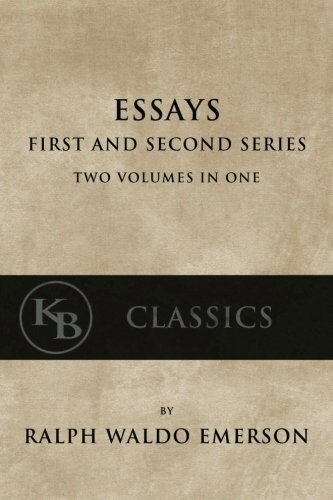 Blavatsky’s views on the subject reveals to us the important fact that there is sufficient material extant in sacred works, little studied and less understood, to prove a universal basic system of thought which gave birth to all true religious philosophies, which explains all phenomena of a mystical and occult nature, and which is man’s only true and reliable guide in this world of Agnosticism and relative knowledge. His real salvation lies in being initiated into that Perceptive Mystery which is now forgotten, and which is the Soul of that basic system of thought. An illuminating passage on the subject will be found in Isis Unveiled, Vol. II, p. 99. Thus we begin to realize the significant and important fact that in relative knowledge can be found sure indicators to the Gupta Vidya or Archetypal Knowledge. If we clear away the debris of Avidya-Agnosticism and cleanse the Apara Vidya, Relative Knowledge, of the forgeries, vandalism and general craftiness of priesthoods and their victims, human ignorance, superstition and credulity, we arrive at a basic and fundamental Revelation or Shruti in the light of which all Laws and Traditions or Smriti assume a universal and true aspect. These are the types whose parent and source is the Esoteric Science, Gupta Vidya or Archetypal Knowledge, to be obtained by initiation into the Perceptive Mystery. Spiritual exploitation has taken place in reference to this fact of the existence of a true Shruti or Revelation. Like other sacred truths this one also has been distorted. Priests are exploiters of spiritual patriotism as politicians are of national, and that has been so for ages past from China to Peru. Sri Krishna’s injunction in the Gita (XVI, 34) to act according to “what is declared in Holy Writ” has been wrongly interpreted by the orthodox Brahmanical priesthood, as the Western Church has exploited for its own purposes verses 18-19 of Revelation about adding to “the prophesy of this book” or taking away from “the book of this prophesy.” In more than one Upanishad serious injunction is issued to study the Vedas, to follow their advice, to practise their teachings, to obey their doctrines. In the Svetasvataropanishad (VI, 18) it is said that He who creates Brahma also delivers the Vedas to Brahma, and thereforeMaitriopanishad (VII, 10) issues a warning against the state of false or non-Vedic doctrine, and points out the necessity of studying the right Vedas. What is meant thereby is of course this real Shruti-Revelation of the universal basic Wisdom-Religion to which we have referred. Similarly, the Laws of the Prophets and Traditions or Smriti have a universal aspect and basis. That is why theChhandogyopanishad says that the pure nature of the Soul arises out of pure nourishment and in the pure nature Smriti 1 becomes firmly fixed. Race Memory in the form of immemorial tradition is the Reminiscence of which The Key to Theosophy speaks. This universality and impersonality make the Vedas — Shruti-Revelation, constant and consistent. It is said that the Vedas aresvatah-pramana, that is, self-evident, and Apurushya, universal, in the sense that they are not the inventions of any particular persons and therefore are also impersonal. Every Spiritual Teacher of the Wisdom from Sri Krishna to Muhammad has affirmed — “Think not that I am come to destroy the law or the prophets; I am not come to destroy but to fulfil.” From the Vedas of ancient Aryavarta down to H.P.B.’s Secret Doctrine, all proclaim the existence, immortal and immemorial, of “the same ancient wisdom-doctrine, one and identical.” 2 But priests are the enemies of the prophets, advocates and upholders of the letter that killeth and destroyers of the Spirit that giveth life. Is there such a thing as absolute truth in the hands of any one party or man? Reason answers, “there cannot be.” There is no room for absolute truth upon any subject whatsoever, in a world as finite and conditioned as man is himself. But there are relative truths, and we have to make the best we can of them. In every age there have been Sages who had mastered the absolute and yet could teach but relative truths. For none yet, born of mortal woman in our race, has, or could have given out, the whole and the final truth to another man, for every one of us has to find that (to him) final knowledge in himself. As no two minds can be absolutely alike, each has to receive the supreme illumination through itself, according to its capacity, and from no human light. The greatest adept living can reveal of the Universal Truth only so much as the mind he is impressing it upon can assimilate, and no more. Tot homines, quot sententiae —is an immortal truism…. …though absolute truth is not on earth and has to be searched for in higher regions … there still are, even on this silly, ever-whirling little globe of ours, some things that are not even dreamt of in Western philosophy. To return to our subject. It thus follows that, though “general abstract truth is the most precious of all blessings” for many of us, as it was for Rousseau, we have, meanwhile, to be satisfied with relative truths. In sober fact, we are a poor set of mortals at best, ever in dread before the face of even a relative truth, lest it should devour ourselves and our petty little preconceptions along with us. As for an absolute truth, most of us are as incapable of seeing it as of reaching the moon on a bicycle. Firstly, because absolute truth is as immovable as the mountain of Mahomet, which refused to disturb itself for the prophet, so that he had to go to it himself. And we have to follow his example if we would approach it even at a distance. Secondly, because the kingdom of absolute truth is not of this world, while we are too much of it…. In the above we decipher the several aspects of Knowledge or Vidya we have been studying. Absolute Knowledge is a matter of illumination, which follows the search in higher regions, and during which “man is at one with the Universal Mind,” which as we have seen before is Sophia, Shakti, Daiviprakriti. On the other hand there is the danger of our being caught up in the maze of Avidya and worshiping the wisdom of our own creation. The earnest student will do well to ponder the extracts which follow in connection with those which have gone before. If in the above are to be found references to Noumenal Knowledge and typal Knowledge and Agnosticism, in what follows will be found traces of Archetypal Knowledge in both its aspects, exoteric and esoteric. The Knowledge of the Adepts is Archetypal Knowledge — Gupta Vidya, the Buddhi, which is the Vehicle of Atma — Para Vidya. This Archetypal Knowledge has a revealed aspect — the Universal and Impersonal Wisdom-Religion, and an esoteric one into the mysteries of which one has to be initiated. 2. Isis Unveiled, II, p. 99. 3. A Modern Panarion, pp. 450-452.